I had a lovely group of eager students on Sunday and one sadly stuck in London. Pretty impressive aren’t they? None of these students had made anything from a pattern before, in fact one of them only learned how to use her sewing machine at one of my weekly sewing classes last week! An a-line skirt really is a great first project for anyone new to sewing. The shape looks good on almost everyone and it’s a quick garment to make which is easy to get to fit well. These students are inspired to make more with their new found sewing, zip inserting and faced hemming skills! “Really recommend and a brilliant day out.” And that from the student who had been given the workshop for her birthday! 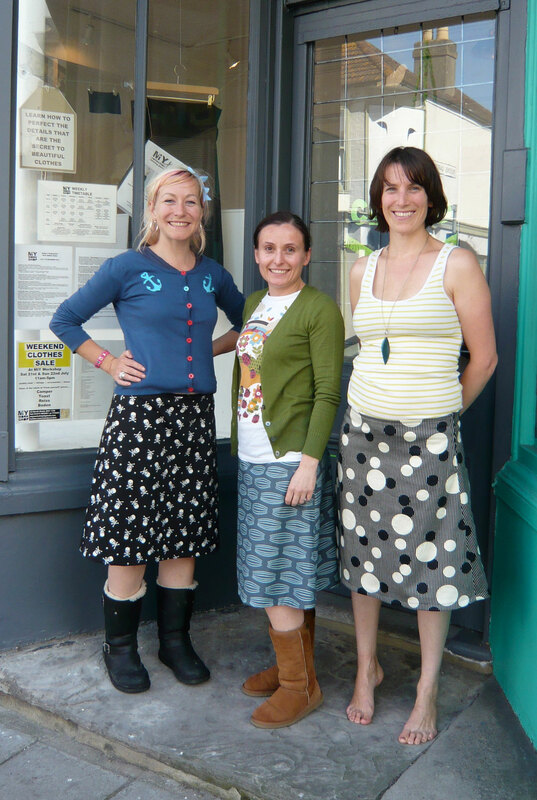 This entry was posted in Full Day Classes, MIY Workshop, Sewing & dressmaking, Student work and tagged dressmaking classes brighton, MIY Workshop, sewing classes Brighton, skirt making, student work, Wendy Ward. Bookmark the permalink.